CUESTARS has announced five important changes for the 2018/19 season. Renew your membership online now and enter out free fantasy snooker league which carries a £100 first prize. Seedings are being introduced for the first time across all five tours. Highly-ranked players are too often being drawn together in the same group. Although this can be extremely exciting, it tends to slow down other groups. For the first legs of the Championship, Seniors and Gold Tours next season, one player will be seeded into each group. The seedings will be taken from last season’s final rankings. For example, if there are five groups, the five highest ranked players who enter the event will be separated into different groups. For the second and subsequent legs, the seedings will be taken from the current rankings. Again, though, it will only be one seed in each group. Because of all the promotions, Bronze and Silver seedings will start at the second leg. The ‘miss’ rule, currently used on the Championship Tour, will now be used on the Seniors Tour and Under-21 Gold Tour. But it’s important that players read and understand the following excerpt from the competition day rules. In the interests of fair play – when there is no qualified referee – the striker must agree that he/she didn’t make an attempt “to the best of his ability” for his/her opponent’s ‘miss’ call to stand. If the striker does not agree, there will be no discussion and the tournament organisers will not be requested to settle any disputes. The standard on last season’s Under-21 Bronze Tour was off the scale. Full credit to all involved. But the Silver Tour suffered from low entries. To level things up, Cuestars has decided to reward those Bronze players who have reached Silver Tour standard but have been blocked from automatic promotion by the ridiculously high levels that the top players reached as the season progressed. As previously reported, Ronnie Sullivan and Riccardo Drayton are promoted straight to Gold and they will be joined by Silver Tour double winner Chloe White. Bronze championship play-off winner Samuel Laxton earnt automatic promotion to Silver, as did O’Shay Scott and Harry Wilson for passing the 40-break threshold. In fact, 12 Bronze Tour players in total are moving up. The other seven, who it is felt are knocking on the door of a first 40 break, are: Ben Crump, Will Forster, Zak Truscott, Dean Russell, Louie Leighton, Mason Wilson and Oliver Cooper. Congratulations to them all. Cuestars has produced 50 new skills challenges. Click on each level in the Cuestars Academy (formerly the Cuestars Coaching Programme) in the ‘Learning Zone’, and then click on ‘Skills’. 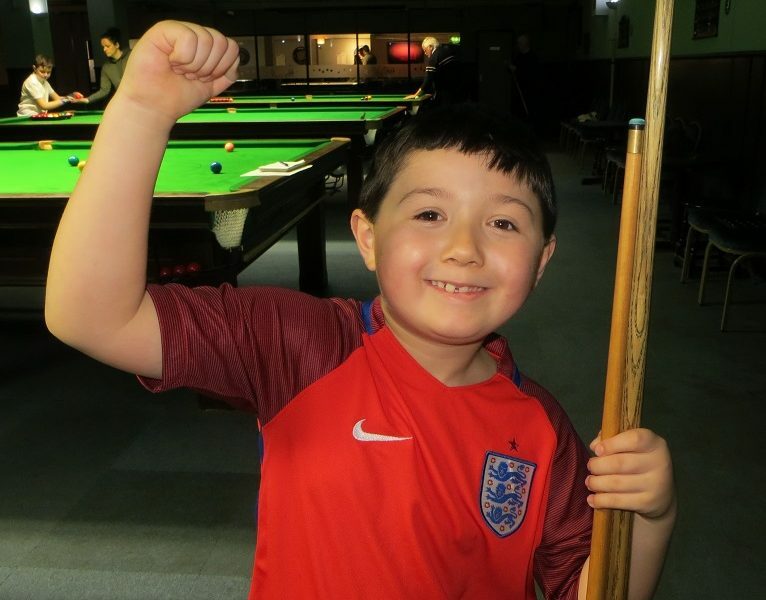 Young Waterlooville Sports Bar player Jake ‘Two Cues’ Martin sums up what success is all about.